Curry Puffs and Canberra Connections | Izzy have you eaten? 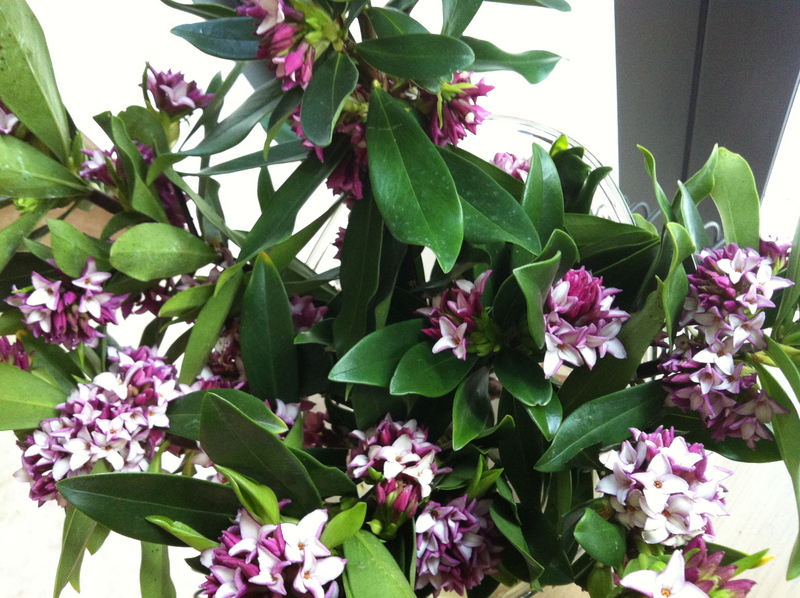 It was a Canberra infused week-end: SB dropped by to visit with an armful of daphne branches, an instant reminder of Canberra winter gardens. It has laced the apartment all week-end with a wonderful scent. Then the Walkers arrived on Saturday to stay, and last night C, R and T came over for a laksa dinner. 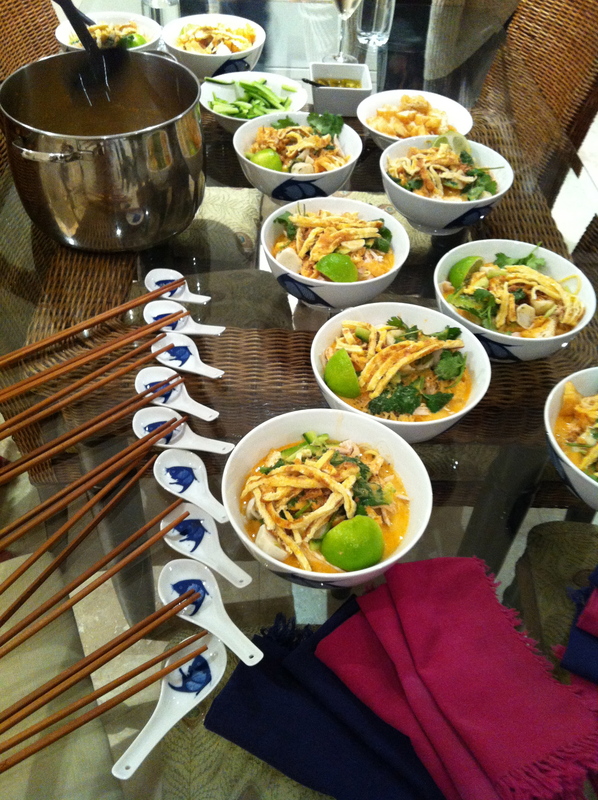 Curry laksa with Canberra friends…. Lots of laughs and conversation: T brought fresh strawberries which she hulled and tossed with Cointreau, C baked a gorgeous carrot and almond meal cake-extra yummy delicious. We looked over photos of the new house which R has been pivotal in helping us get ready. So excited, Izzy. We will be moving in three days! Apart from shopping for all my laksa ingredients at the Chinese grocery store in Maroubra, the Ws stirred the pot, chatted and poured and cleaned and washed all through the early part of the evening. Such good friends. While Little C struggled with mountains of French home work, The Walker family directed her to a Flight of the Concords segment, http://www.youtube.com/watch?v=DzZ3EYzjzuE French style: that gave your sister a laugh! Now I have that crazy song stuck in my head! 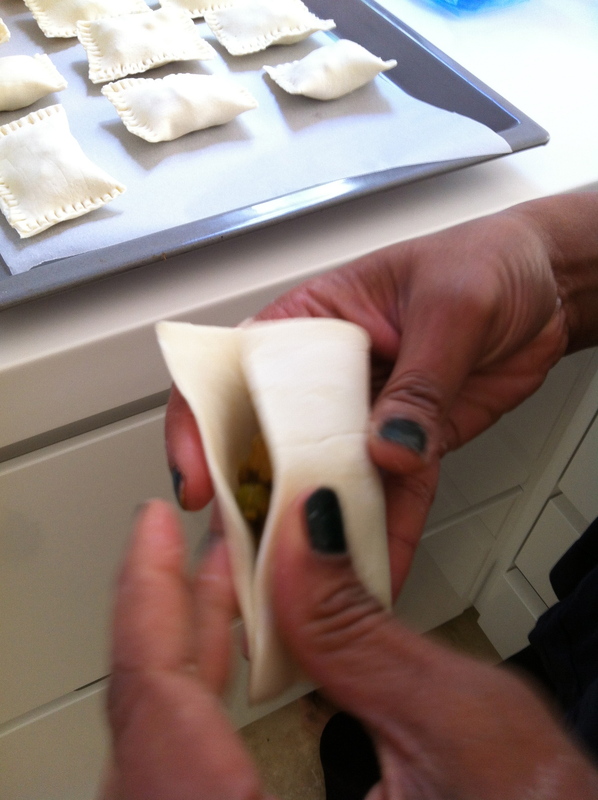 I quickly made curry puffs while we were all lounging around and chatting, and Salsa Queen took the photos. Here is the recipe. Nice for you to see how it is done, picture by picture. I made potato and pea ones this time, but you know I sometimes do them with curried ground beef which is also good to eat. Let me know if you want the recipe for that filling. 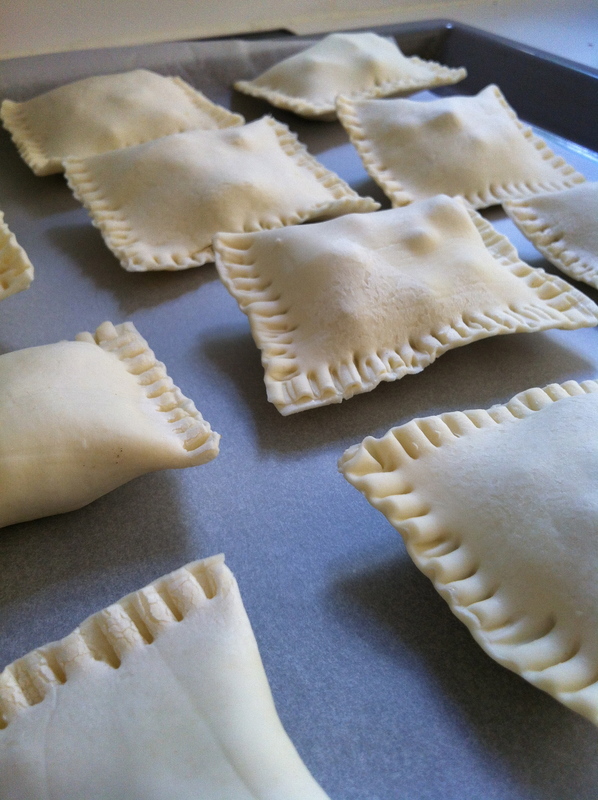 Curry puffs ready to bake. I was soooo happy to have photos of the meals you’ve cooked recently, including chicken soup while you were sick, and amazing looking cupcakes with a difference (thanks for that recipe!!). Fry the ginger and garlic in hot oil, and as they change colour to golden, add the fennel and cumin seeds. 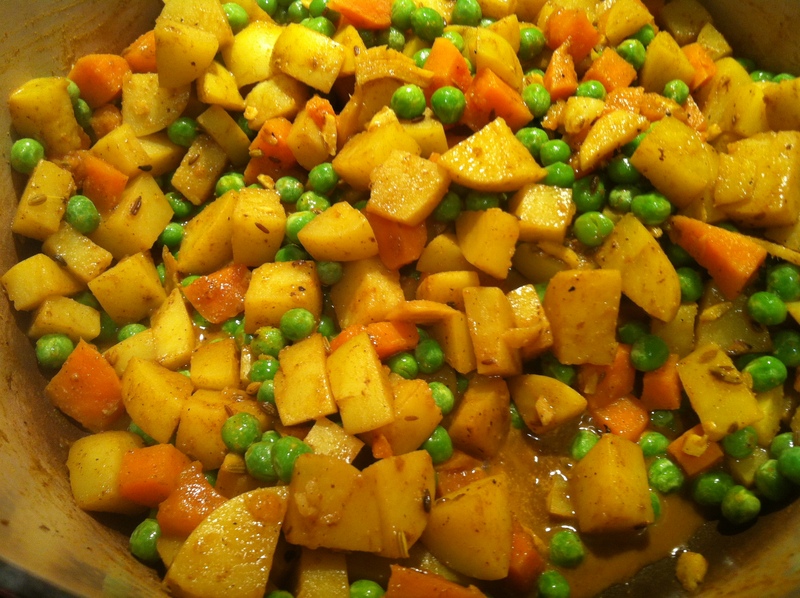 Add the turmeric, sweet potato and potato cubes, and stir till the spices have well coated everything. Add a cupful of water and turn down the heat. Cook the potato mix until soft, about 20 minutes or so. Stir occasionally. Season to your liking: salt and pepper to taste. Add the peas and cook for another few minutes until the mixture is dry. Leave to cool completely, in fact, best refrigerated before you make the puffs. This mix also good in a wrap or with steamed hot rice! 1 packet of Pampas puff pastry sheets (six per packet). 2 tablespoons flour mixed with a little warm water to form a thin paste. 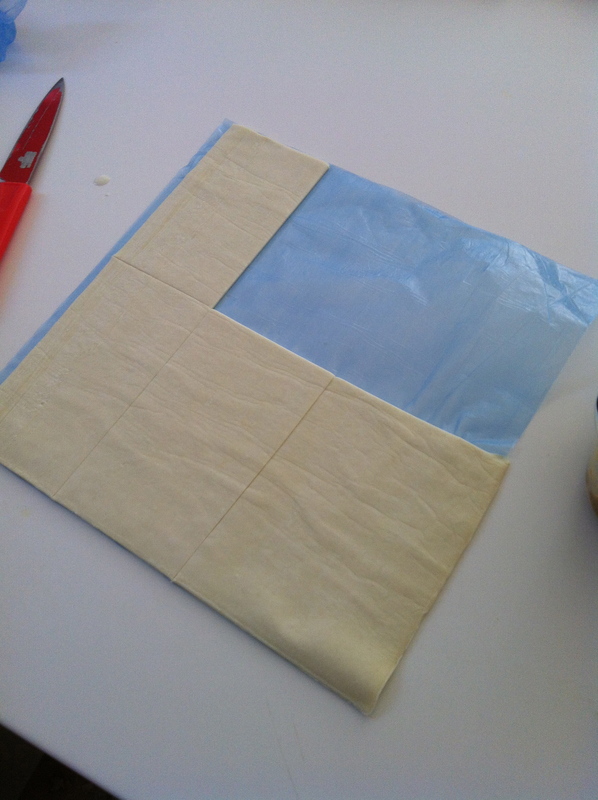 Remove puff pastry from the freezer and lay each sheet out to thaw separately. If you leave them in a pile, there is a danger they might stick together. 3. Holding a piece of pastry in the palm of your hand, place a small spoonful of cold potato mixture into one half of the pastry. 4. Dampen the edges of the pastry with the flour and water mixture. 5. 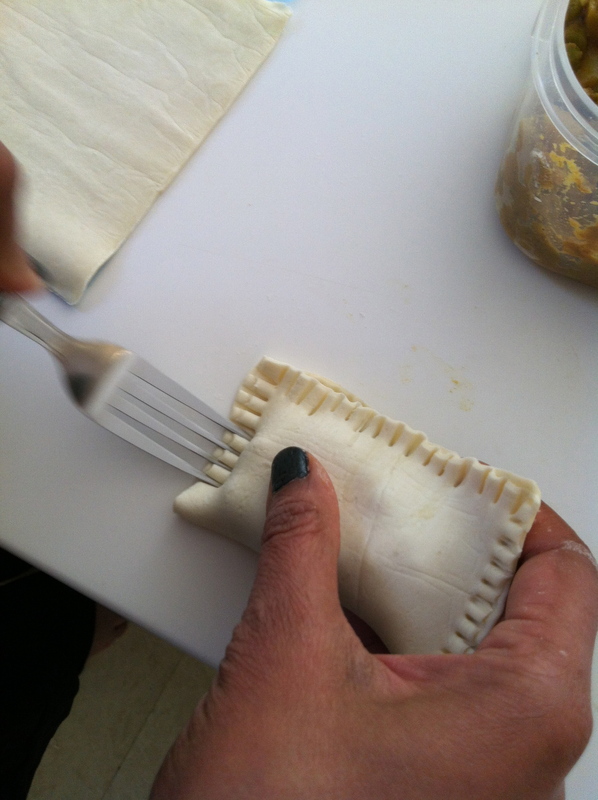 Fold the pastry over, and press down firmly. You can make a decorative edge with a fork. 6. Arrange on a baking tray lined with baking paper, and cook in a hot oven ( about 190 degrees celsius) until it starts to turn golden. This will be in about 15 to 20 minutes. 7. At this point, pull out the tray from the oven, and dab each puff with a splash of milk ( a scrunched up paper towel dipped in milk will work fine if you don’t have a pastry brush). This will give your puffs a lovely shiny finish. 8. Cook for a last five minutes, for the milk glaze to set. 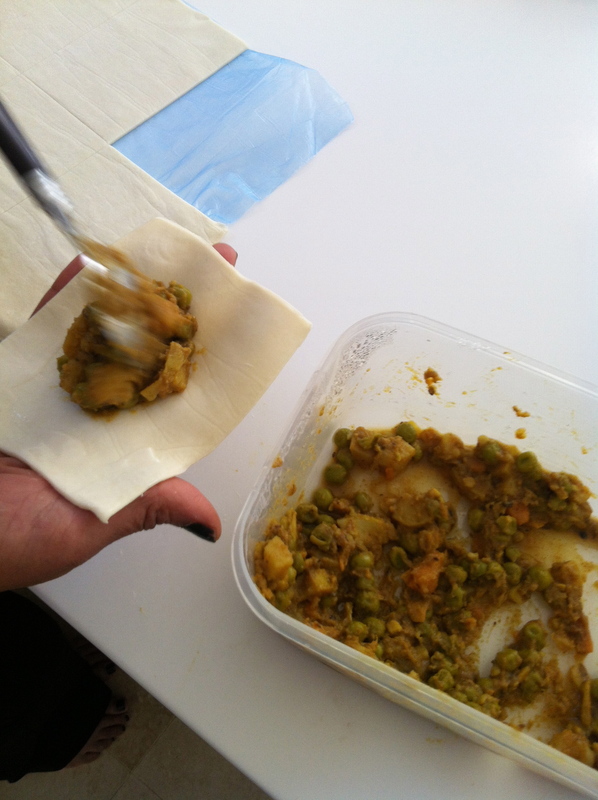 This entry was posted in GROUP B, Uncategorized and tagged Curry Puffs, Pastry, Vegetarian by tgb9593. Bookmark the permalink. tgb, the puffs look totally delicious! I will have a go, but will of course have to make my own wheat free pastry. If anyone knows of a commercial brand of wheat free puff pastry please let me know! We had Laksa last night and it didn’t look anywhere near as beautiful as yours (although to be fair to R it tasted delicious). Do please give us your recipe. It would have been a perfect meal for a sick girl: spicy chicken soup,yum! The Pastry Pantry make a gluten free frozen puff pastry I believe. Oh, Thanks for this, Michelle! I had been busting my brains with Kate’s question- never come across any myself. This is good to know. not penalized. Online ranking is all about getting valuable or so to say quality backlinks. Finding and fixing broken hyperlinks does over just help the visitors. Pingback: Two Sisters In Melbourne And Baking Nana’s Christmas Cakes | izzy have you eaten ? Pingback: Egg Curry and Sydney Dinner With The Barrs | Izzy have you eaten?